The Town of Whitehall is a master-planned community that offers “old town” ambiance with luxurious modern design and amenities. Located in Middletown, DE on the south bank of the Chesapeake and the Delaware Canal, The Town of Whitehall is within the award-winning Appoquinimink School District. Like other Montchanin communities, Whitehall features stunning and spacious home designs with extra-special details — such as a full front porch — to give each home its unique charm. The Town of Whitehall is a walkable community, with lush green spaces, community gathering places, and shops all just a short stroll from your front door! In designing the Town of Whitehall, Montchanin Builders created not just a collection of beautiful homes, but a walkable community in Delaware replete with parks, nature trails, playgrounds, an elementary school, coffee shops, home-grown businesses and even a family doctor. While it may sound too good to be true, this nostalgic vision has been in the making for years, and has now become a glorious reality. Delaware, like many other states, has few walkable communities — places where a cup of coffee or a slice of pizza is a 5-minute walk from your doorstep. The Town aim to change all that by putting the “neighbor” back in neighborhood and giving residents the ability to connect with one another while enjoying an outdoor BBQ, a bike ride, or a meal in town – all without the need for a car. 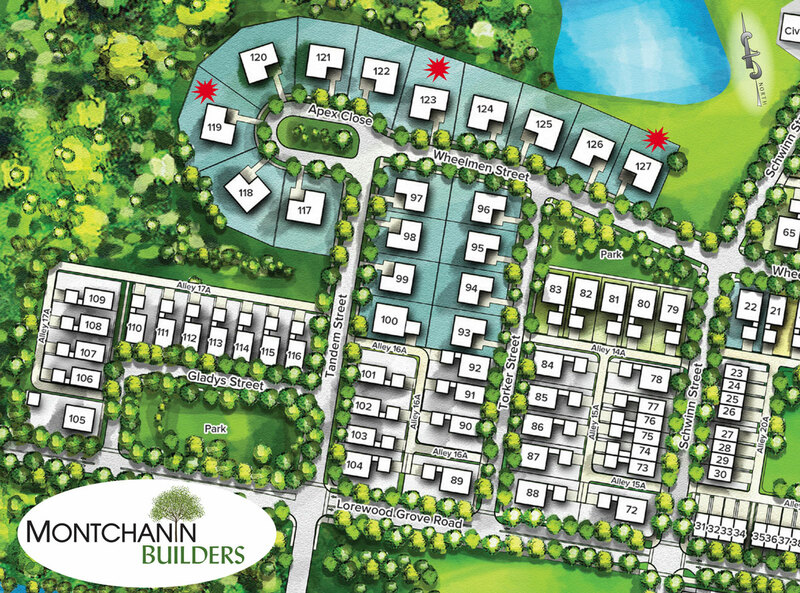 Montchanin Builders offers premier homesites in Mapleton Village, with a private cul-de-sac and gorgeous one-of-a-kind views backing to natural open space with a pond. 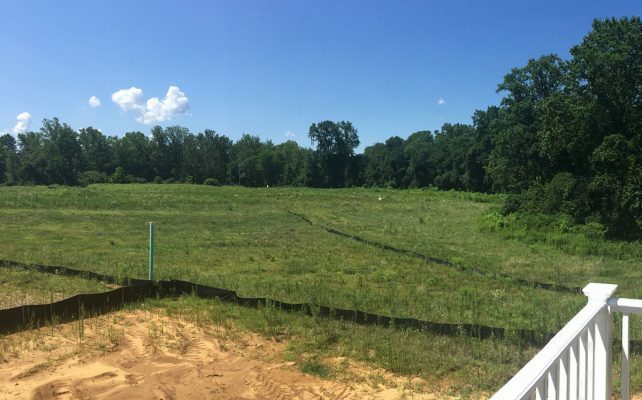 These available homesites command some of the best views in all of the village. Grandeur, spaciousness and impeccable craftsmanship are signature characteristics of Montchanin Builders’ single family homes in The Town of Whitehall. Find out more about our available homes! 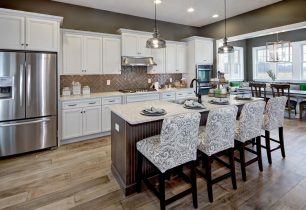 If you’re searching for ranch homes in Delaware, you owe it to yourself to check out our single story Chesapeake model home series in The Town of Whitehall. An inviting front porch welcomes you into a spacious 2,142 square feet interior with an open floor plan that lets you stretch out and be comfortable. Features 3 bedrooms, 2 baths and a 2-car garage. Revel in your new gourmet kitchen or nestle up near the gas fireplace that warms the expansive great room. Or enjoy the picturesque view out back, featuring jaw-dropping views of the pond! The Town of Whitehall was designed to be the ideal place for those looking to raise a family. In line with this goal, The Town of Whitehall will feature a new elementary school for 840 students. 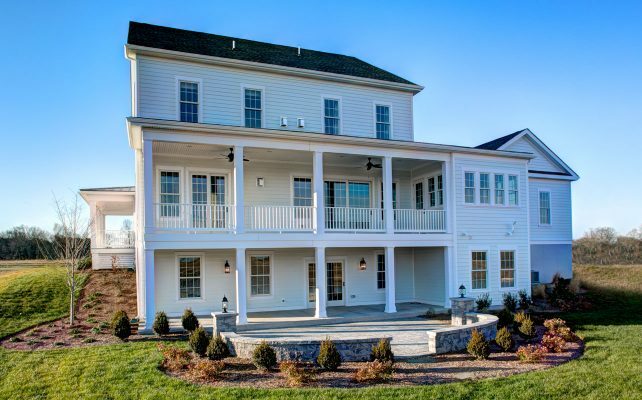 The school is situated on an expansive 13-acres donated to the Appoquinimink School District by Montchanin Builders. 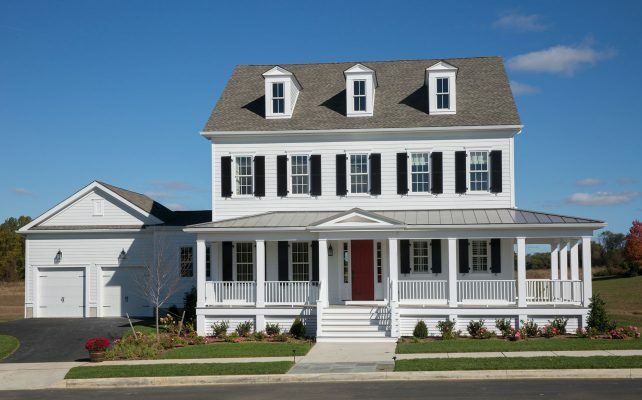 Are you looking for new communities in Middletown Delaware that put a premium on forging a sense of old fashioned neighborhood community while offering all the latest home design advances and amenities? 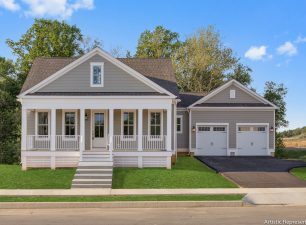 The new homes in Delaware in the extraordinary walkable community at The Town of Whitehall may be just what you’re looking for. Schedule a home tour today to view the single level Chesapeake, or The Salisbury’s 3,826 square feet of living space including 4 bedrooms and 3.5 bathrooms, walk out lower level and a premium wooded view. We’re confident you’ll fall in love at first sight with your new dream home — especially when you experience all the special features, such as dormer windows, cozy reading nooks, ample rec rooms, big foyers, gourmet kitchens, plentiful closet space, and open floor plans that are ideal for relaxing and for entertaining family or friends. Call to schedule a personal home tour appointment today! 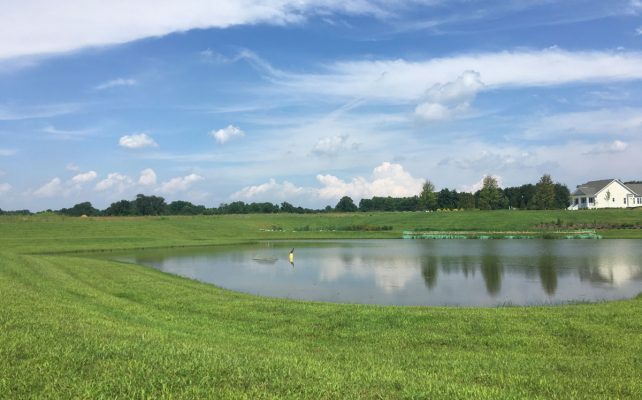 Montchanin Builders offers premier homesites in Mapleton Village, with a private cul-de-sac and gorgeous one-of-a-kind views backing to natural open space with a pond. Check out our Move-In Ready homes and schedule your personal tour today! Homesite 123 - Single story living with breathtaking pond views featuring 2,142 square feet, an open floor plan, with 3 bedrooms, 2 baths and 2-car garage.